The 76 year old Ebo Taylor from Ghana was almost forgotten. Despite an impressive career and extensive catalogue he became a name from the past. A rich past, since Taylor has been around for many years. In those years he worked with many top musicians. Fela Kuti probably is the most famous one among them. Fortunately the record label Strut noticed that the guitar player still has plenty of creativity and energy and released his album Love and Death world wide in 2010. This brought the attention back for Taylor and now he is considered a living legend. With Appia Kwa Bridge he is showing that he totally earns that title. The record is full of typical afrobeat, funk and highlife songs. Many African celebrities like Tony Allen, one of the founders of the afrobeat, and Oghene Kologbo, guitar player of Africa '70, contributed to the album. Afrobeat is the dominant style here without getting boring. Mostly they are cheerful songs, richly arranged and sometimes intimate as well. The album takes you to the colourful homeland of Taylor where he's taking you on a day trip. Cheerfully we start the day with 'Ayesama'. Slowly the sun is climbing higher and the temperature rising with 'Nsu Na Kwan'. We're swinging along with 'Kruman Dey' after lunch, while we're opening the first cold refreshments of the day. Then the night is falling, but after dinner we continue dancing with Taylor in his birth place Saltpond. There we can find the small 'Appia Kwa Bridge' where it's time for reflection. Taylor is sitting down on the bridge and starts playing the heartbreaking 'Barrima' for his diseased wife. The original sounding album is just as cheerful and friendly as the Ghanaian people. When you close your eyes you can see them dancing to the music. You smell the scent of wood fire with roasted chicken and can almost taste the palm wine. The sun is burning on your skin and you're feeling intense happiness. It doesn't matter any more what kind of weather it will be. With Appia Kwa Bridge you're bringing home the sun once and for all. We should thank Strut they prevented that we would forget about this great guitar player with his great songs and music. 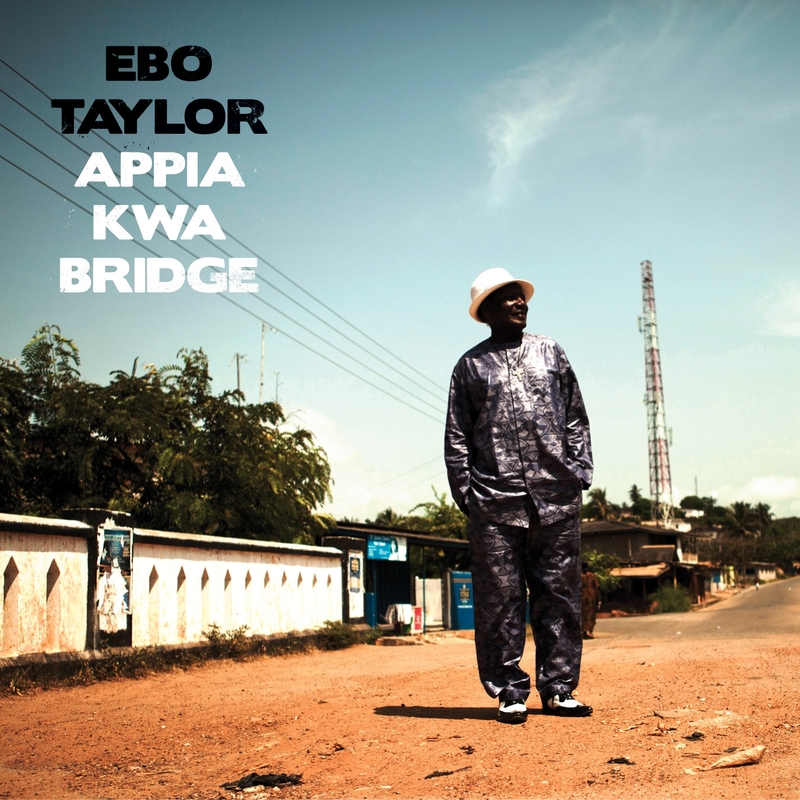 Listen to 'Appia Kwa Bridge' on Spotify.